We’re always looking for ways to make the world a better place, and the classroom is the perfect starting point. Global citizenship is one step towards that goal. By promoting greater understanding of cultural and social challenges, teachers can nurture the global citizens of the future — and the present. Global citizenship is an awareness of the world as a whole – its values, communities and identities – and a person’s place within it. A global citizen sees themselves as part of a wider world. They are not defined or restricted by their nationality or location. Global citizenship connects us and aims to make our world better, fairer, and more sustainable. In education, it can form a framework for learning. It helps schools and their students position themselves as part of a wider community. It can show students that they are able to bring about positive change to the world in which they live. What are the benefits of global citizenship? Learn more about other cultures. Develop a broader understanding of events shaping the world. Form well-rounded opinions based on a wide breadth of knowledge. Understand that they have the power to act on those opinions, and to influence others. Become active in communities on local, national and international levels. These qualities all combine to build well-informed, curious and open minds. They help us understand the challenges faced across our planet, and inspire us to be part of their solution. How can global citizenship be part of a global school program? Viewing life through a global lens helps to nurture global citizens. Teachers play an active role in developing students who will make the world a better place, by encouraging students to view actions, words, and practices through that lens. Participate’s global citizenship framework brings together the resources and instructional practices needed to nurture tomorrow’s global citizens. The framework is simple but powerful. It shows that there is a deeper level of understanding beyond the dual thinking of good and bad, rich and poor, us and them. Our framework encourages teachers to treat global issues as areas of nuance, to be viewed with empathy and curiosity. An open mind can grasp that issues are rarely black and white: our framework is the structure by which you can help your students reach that stage. The qualities and benefits of global citizenship touch every aspect of life in the classroom. It makes students curious about the wider world. It encourages them to treat differences – whether of opinion, background or beliefs – with respect. It drives them to understand and empathize. It shows students the wonder of our world, and that they have the power to bring about positive change in their future. The United Nations’ Sustainable Development Goals (SDGs) are a blueprint for a better future for all. From eradicating poverty to promoting equality, the SDGs are guidelines for global citizenship. 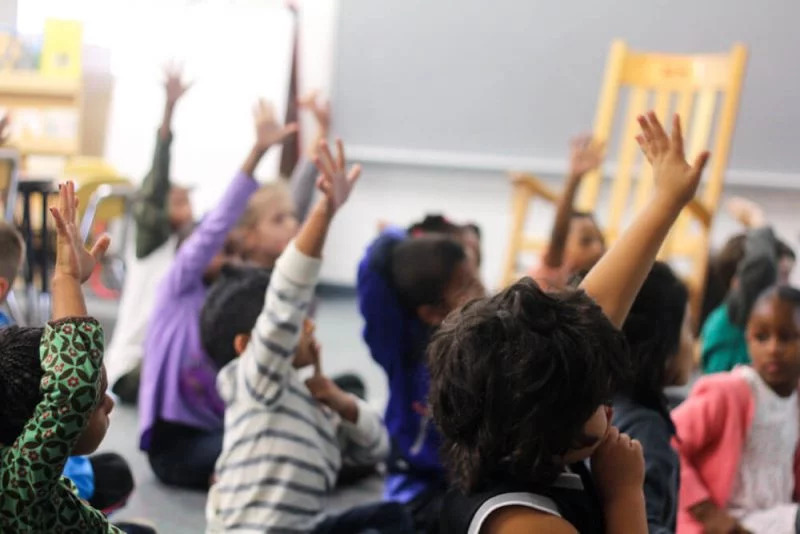 Around the world, educators are using the UN SDGs as a powerful teaching tool that develops students’ empathy, feelings of interconnectedness, and sense of shared responsibility for global challenges. By bringing the SDGs into the classroom, teachers engage students’ critical thinking skills to help address issues that affect us all. Peace, Justice and Strong Institutions (SDG 16) shows the importance of building effective and accountable institutions in society. This could form the basis for political or sociological discussion. Climate Action (SDG 13) helps students understand the challenges and effects of climate change. This could be part of a scientific or geographical subject. Good Health and Well-Being (SDG 3) promotes an appreciation for health and the importance of sustainable development. This could be woven into physical education or scientific studies. These goals interconnect to prepare students for the global challenges that we all face. They show students that they have the ability to make a difference in the world. A global citizen is something we should all strive to be if we want to make our planet fairer and more sustainable. The qualities that form global citizenship – empathy, curiosity, knowledge, inspiration – should be actively promoted in the classroom. Through Participate’s global citizenship framework and the UN’s Sustainable Development Goals, teachers can nurture tomorrow’s global citizens, and make our world a better place. Read more about global citizenship and global competency for students.